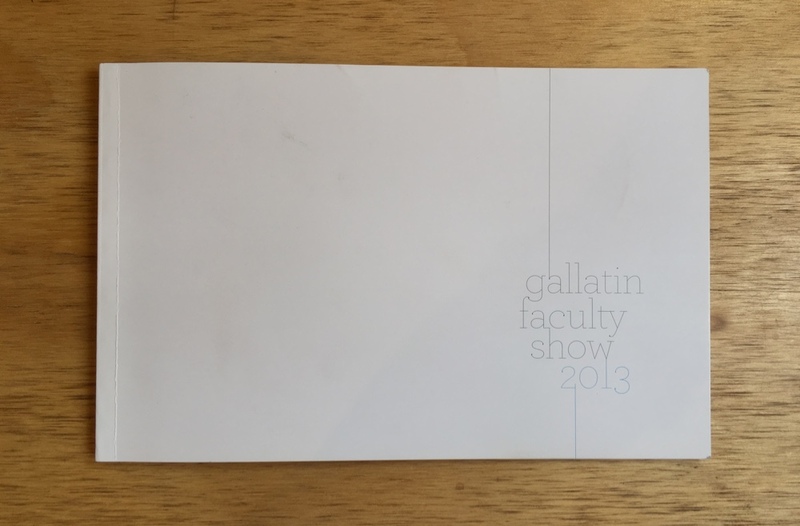 Professors at NYU’s Gallatin School do strange and wonderful things, much of which is worthy of display in Gallatin’s first-floor gallery space. 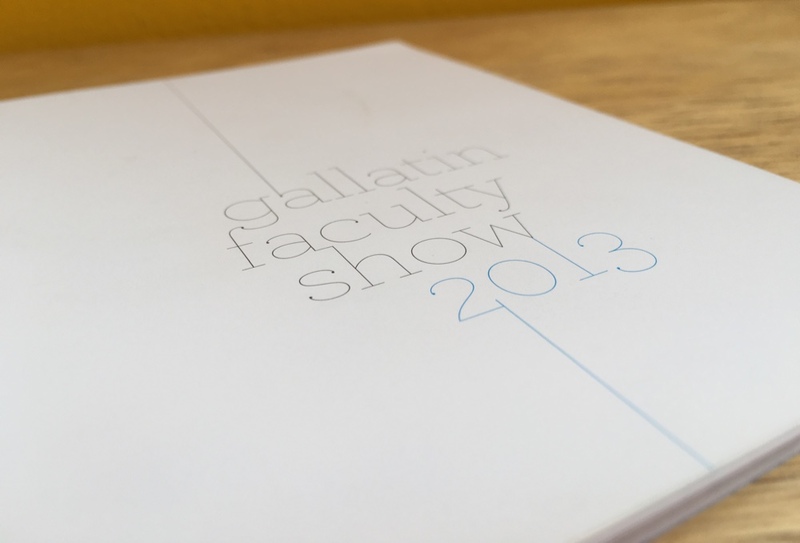 While working as an assistant curator for the Gallatin Galleries, I was responsible for designing a visual identity and assembling a printed exhibition catalog for 2013’s iteration of the show. We knew things were going to get small, so I knew things were going to have to stay crisp. 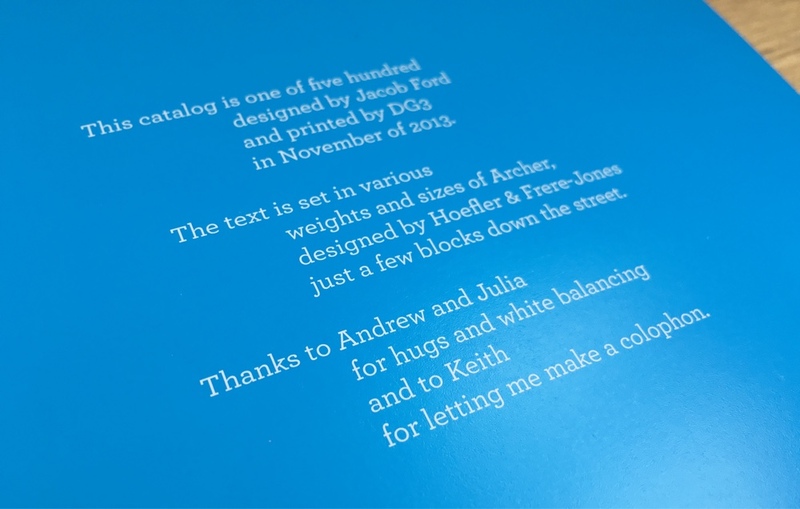 Much of the catalog's color scheme is the C and the K—cyan and key (black)—of CYMK, so there would be no risk of fuzzy text from misregistration artifacts. Project managed and show curated by Keith Miller. Assistance and encouragement from Andrew Harvey and Julia Berke. Designed by Jacob Ford in 2013.